In 1898, the Supreme Court ruled in favor of Wong Kim Ark, who was born in California to Chinese immigrants. “With one statement, Donald Trump displayed the bigotry and the ignorance that have made his presidency so dangerous,” said Chu. “I implore the president to read the case U.S. v. Wong Kim Ark. 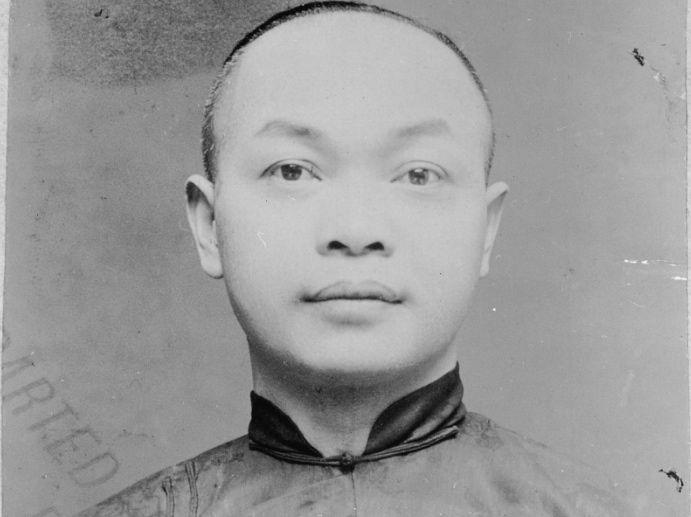 In this case, despite the Chinese Exclusion Act being in place, the Supreme Court upheld birthright citizenship for an individual who was born to immigrants. ‘All persons’ means ‘All persons.’ The Constitution’s meaning could not be more clear. And the Supreme Court has agreed, ruling multiple times to uphold birthright citizenship. “But Trump’s action isn’t about what’s good or moral or legal or even effective. It’s just President Trump’s latest attempt to fuel anger in order to win votes. I can imagine no lower aspiration in government. What he wants is a debate on who does and does not belong here, because he knows xenophobia helps him win elections. But xenophobia also creates tension and increases the risk of violence. “President Trump should take a high school government class before so confidently claiming he can eliminate the 14th Amendment though executive action,” said Jayapal. “Constitutional scholars and even members of his own party agree – this simply isn’t possible. This is nothing more than a desperate attempt to fan the flames of anti-immigrant rhetoric, sow division and distract voters from this administration’s very real infringements against working families. “Asian Americans Advancing Justice | AAJC embraces the diversity that immigration has brought to our country, and our community knows full well the importance of birthright citizenship specifically: in 1898 the Supreme Court declared in the case of U.S. vs. Wong Kim Ark that the son of Chinese nationals — who themselves were forbidden under the Chinese Exclusion Act from ever becoming U.S. citizens — should not be deprived of birthright citizenship himself. This ruling has contributed to the makeup of our country and has made our nation what it is today. “We are disgusted that President Trump is further inciting his base against immigrants by trying to end birthright citizenship. In the wake of several hate crimes in the last week, the president has chosen to double down on his policy attacks against a huge portion of the American public. While this may just be a political ploy, it is so dangerous an idea as to warrant a response. “From the Chinese Exclusion Act to the current Muslim ban and repeated attacks on immigrants, the attempt to end birthright citizenship is a core part of a white nationalist agenda to define citizenship as white and cast out all people of color. If his vision were to be realized, millions of Americans could be stripped of citizenship. This move clearly shows that no immigrant — regardless of immigration status, party affiliation, or country of origin — is safe from this administration’s heinous, bigoted agenda.